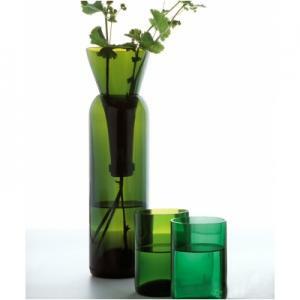 The transglass Double Vase is made from recycled glass and is a one-of-a-kind piece. 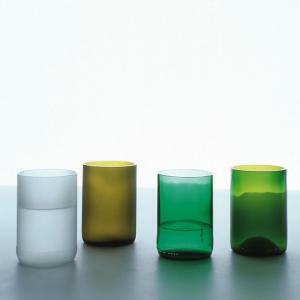 The tranSglass series is a collection of glassware made from recycled wine and beer bottles designed by Tord Boontje and Emma Woffenden. 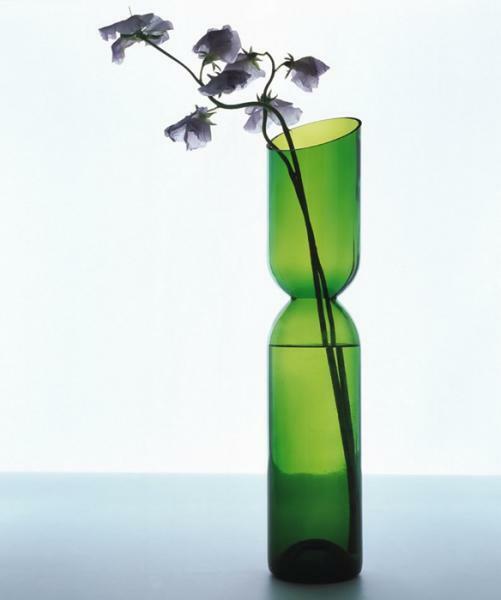 Since its launch, tranSglass® has become one of Artecnica’s best-selling items. 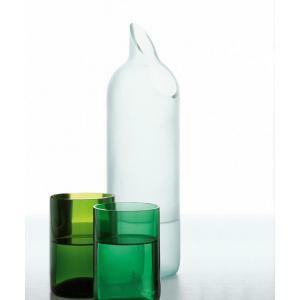 With its recycled origins and sleek, fluid design, tranSglass® conveys a positive attitude towards the environment, affirmed as an Artecnica Design with Conscience project. 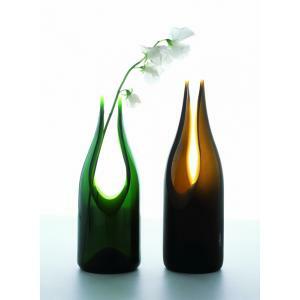 Due to the recycled and handcrafted nature, products will vary slightly in size, appearance and color. 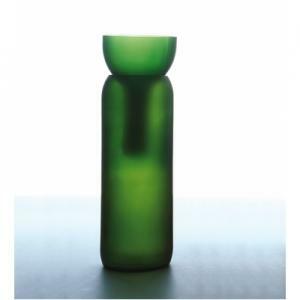 Colors are pre-assorted in shades of green, clear and brown by the artisans only.